Just like that, the end of the semester is upon us. Here at Keene State College, we have about a week left until finals begin and then we go home for a much-needed break. As usual, that means the perfect storm is forming. It appears everyone on campus is caught in a whirlwind of exams, projects, papers and other end-of-the-semester tasks. This craziness often sends many students into a slump. It’s a common phenomenon among college students, affecting everyone from first-years to seniors. 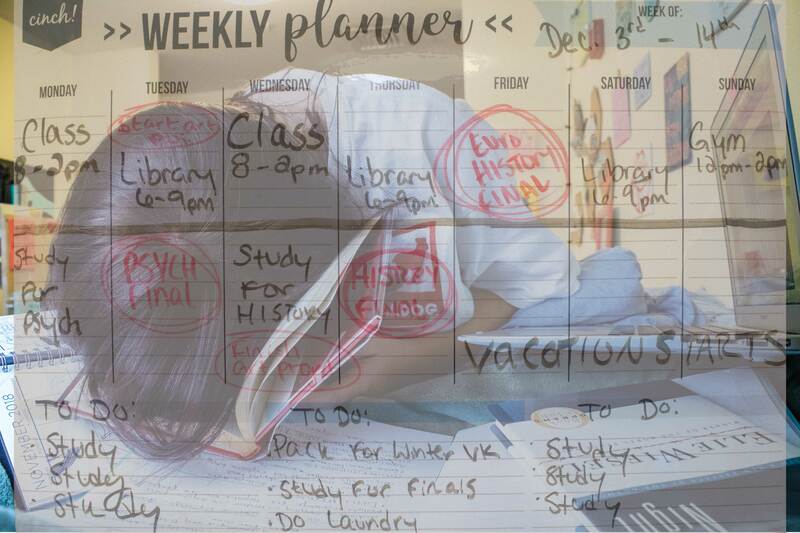 Students find themselves lacking motivation to complete projects or study for tests, putting off doing routine assignments until the very last minute, and avoiding anything that requires even the slightest bit of concentration. The end of the semester is incredibly draining and can send even the hardest working students into slumps that are hard to break out of. Despite wishful thinking, assignments and exams aren’t going to disappear by ignoring them. Projects still need to be finished, assignments still need to be turned in, and tests still need to be studied for. An end of semester slump is something no one looks forward to, but there are some things that can make it easier for students to push through these final few weeks. One of the best ways to counteract a slump is to make a schedule for yourself and stick to it. During these last few weeks, it can feel like you’re being pulled in a hundred different directions with so many assignments, exams, projects and still finding time to sleep and attend campus events. It almost feels like all the professors came together and decided to make all their assignments due on the exact same day. Regardless, before all the craziness starts, block out specific times to get work done each night, and stick to it. Don’t allow it to all pile up for the last two weeks of school. If you know you have a project due in three weeks, start working on it now so you won’t be up all night before it’s due. It’s also particularly important to make time for yourself during this hectic season. 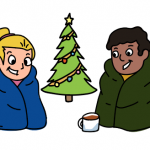 Many end-of-the-year activities involve socializing and being around people, which can be draining. Although it can be easy to forget about taking care of yourself during these last few weeks, it’s important, even when your to-do-list is a mile long, to take a breather. If you need to take a break from the paper you’ve been working on for two hours, do it. Exercise, catch up with friends, read a book or watch your favorite TV show. Just make sure that whatever you choose to do during these breaks helps you recharge. Let’s face it: The end of the semester is exhausting. There’s a thousand things to do and no time to do any of it. Getting through these final hurdles into the sweet embrace of winter break still in one piece will take some serious effort. But it’s not impossible. With a little guidance, we can make it through this end of the semester slump and live to see the spring semester.